francis jimenez Add item to your cart. 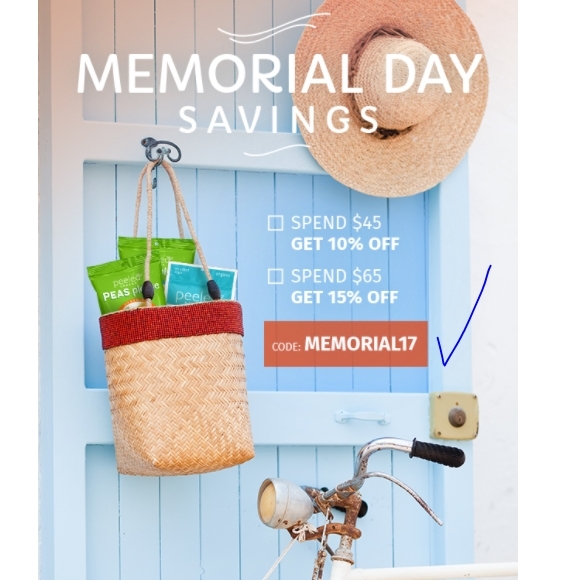 enter the promotional code MEMORIAL17 and click apply at checkout and Up to 15% Off Orders. Offer cannot be applied retroactively and expires 5/30/2017 11:59 pm PT. In stock items, only. One coupon per order. 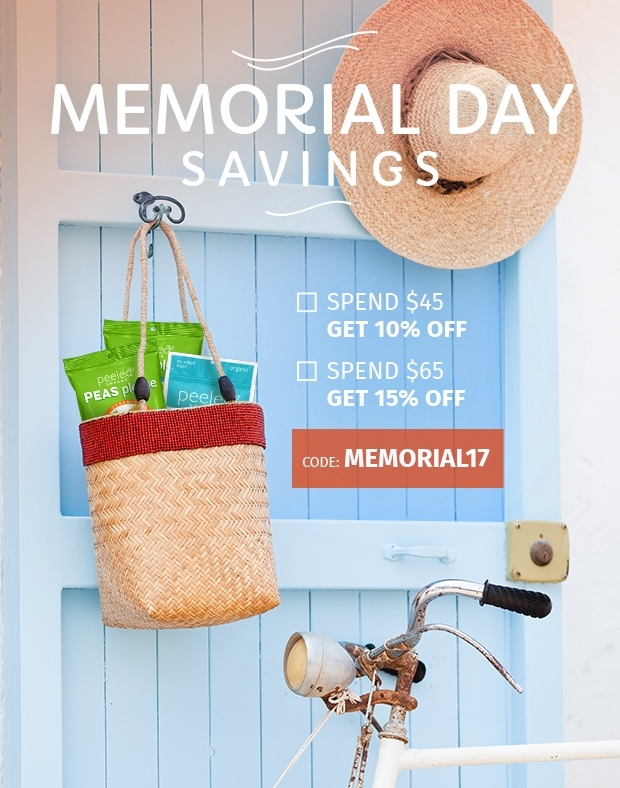 CESAR ROSAS Use code MEMORIAL17 to get Up to 15% Off Site Wide at Peeled Snacks. This is a limited time offer. Laura DeLuca Offer cannot be applied retroactively and expires 5/30/2017 11:59 pm PT. In stock items, only. One coupon per order. 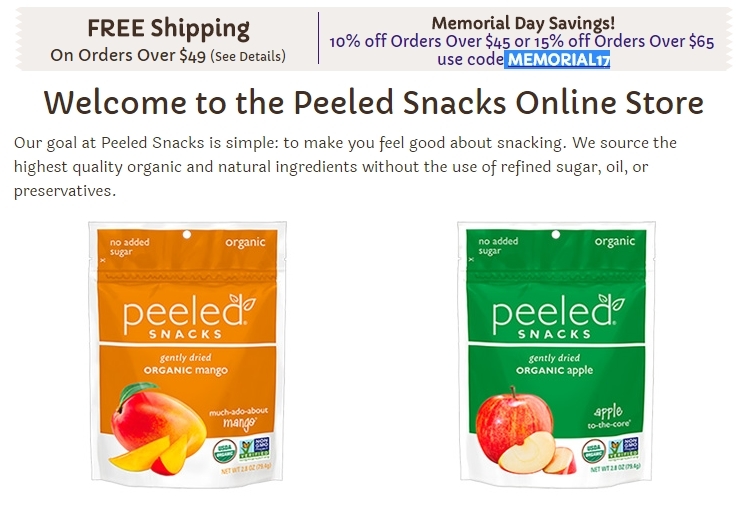 You are receiving this email because you registered at Peeled Snacks & WorldPantry.com.